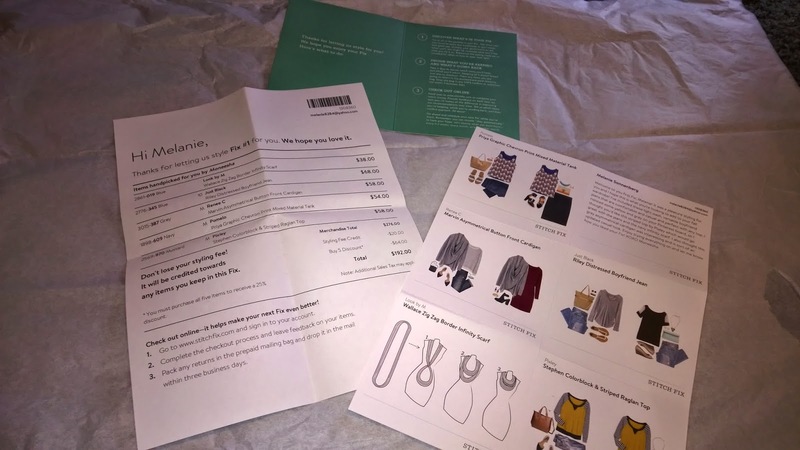 A few months ago, I signed up for Nadine West and I also signed up for Stitch Fix. They are basically the same, but in the end I only decided to continue on with one of them. My big box arrived and inside were my clothes all nicely wrapped up and a letter that explains the whole process. There were also style cards that showed what to pair each item with to create an awesome outfit. First thing I tried on was this yellow shirt. I really liked it. 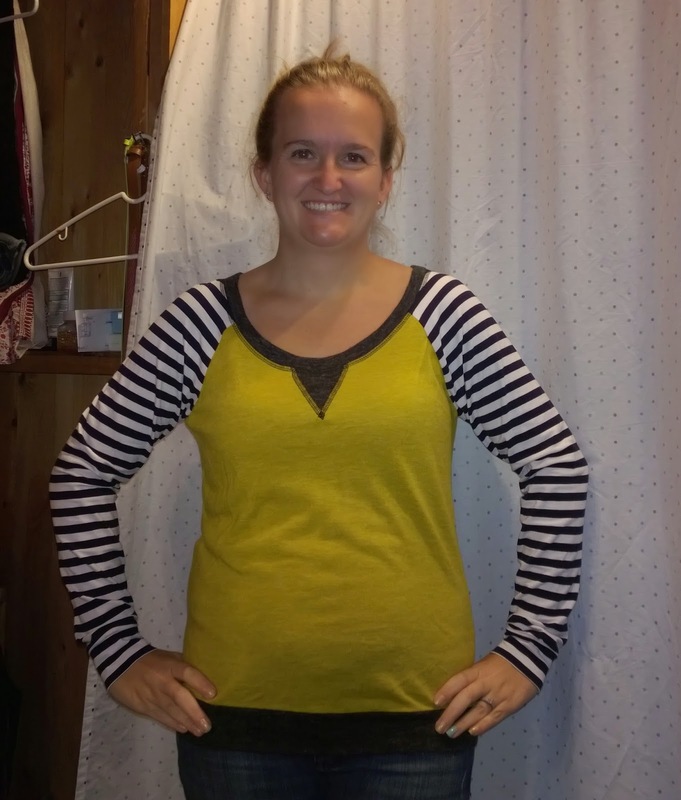 Yellow is my favorite color and I have a thing for stripes. However, the price is what was the deciding factor. $58 That's about $40 more than I normally spend on shirts. So I decided to pass. 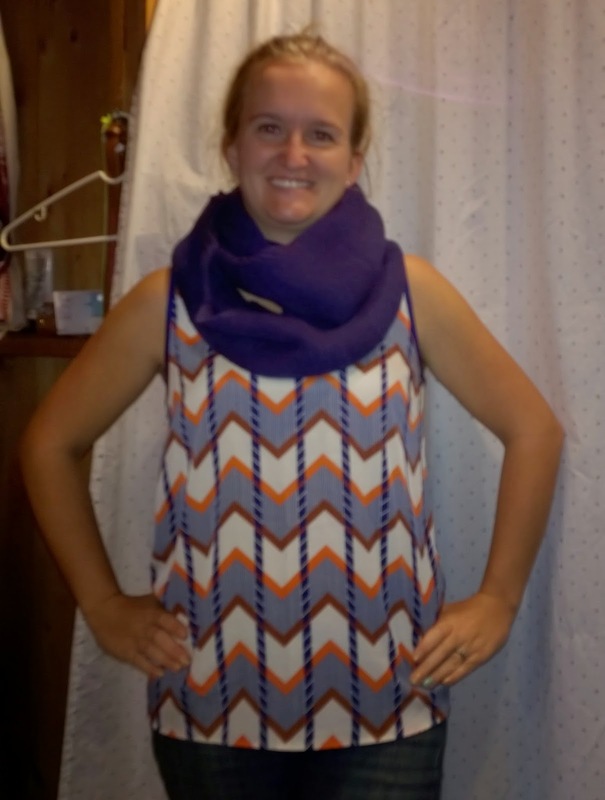 Next up was this chevron tank and infinity scarf. I didn't like the scarf at all. It was big and bulky and I just didn't like the feel of it. It was $38. 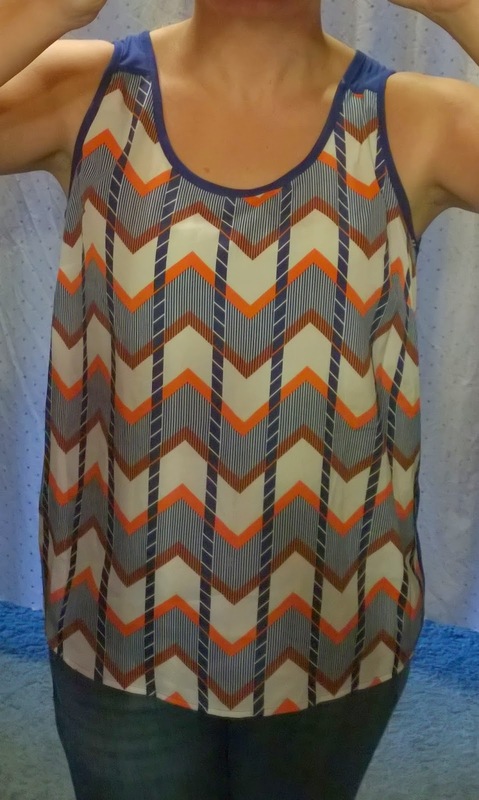 The tank was very comfortable and I really liked it. However, at $54 it was also out of my budget. I passed on both of these. 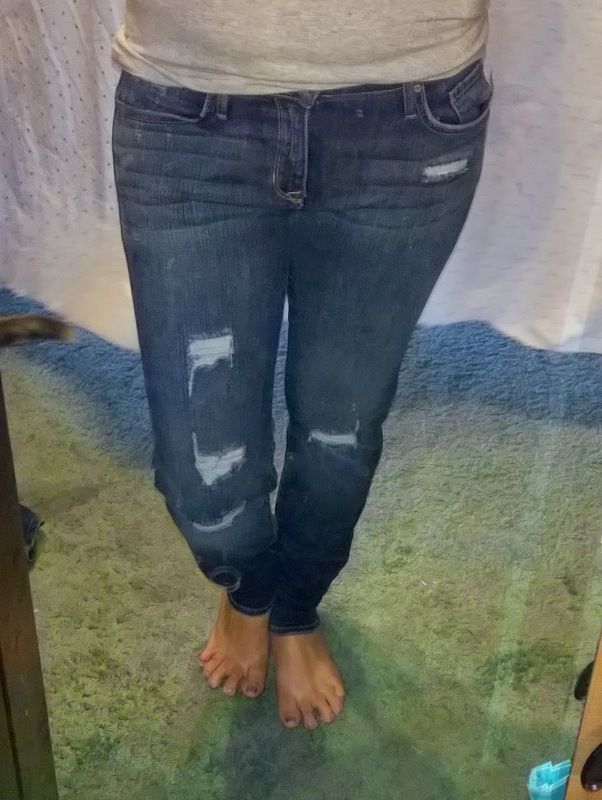 Next up were these boyfriend jeans. Super comfortable and they fit really well. They were $68. 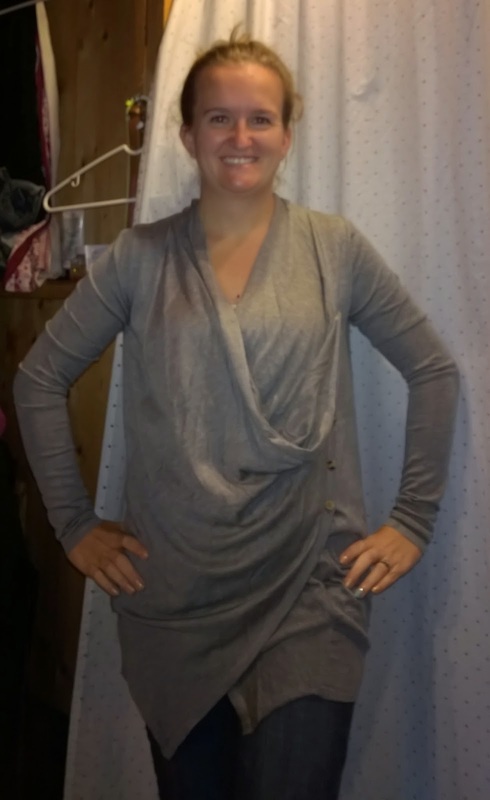 I also received this gray asymmetrical cardigan. It's fit was a little weird for me and I really didn't think I would wear it that often to justify spending $58 on it. I also passed on both of these items. Whatever you don't keep you just stick in the prepaid envelope and return. However, you do have to pay a $20 styling fee before your items are sent to you. If you buy something that $20 is deducted from the amount. If you don't buy anything you lose that $20. I decided that I would return everything so I unfortunately lost my $20 styling fee. I also decided that all of these items were way out of my price range and I couldn't just keep spending $20 each month with the possibility of not getting anything so I decided to not continue with my subscription. 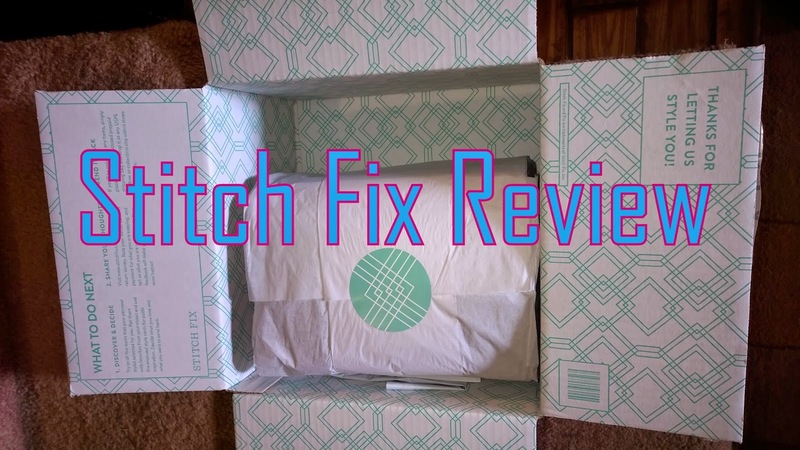 I have a few friends that receive Stitch Fix boxes and really like the items they receive. For now, I'm just sticking with Nadine West.